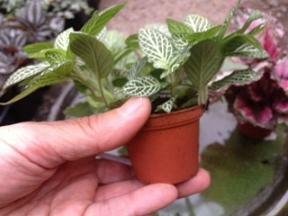 Tiny Plants…Great For Terrariums Or Small Containers Too! 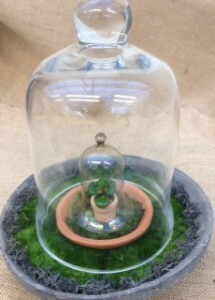 If you haven’t noticed, terrarium plantings, miniature gardens and anything tiny seems to be the name of the game the past few years. Growers have taken notice and now offer a wonderful variety of plants for the smallest of indoor gardening opportunities. 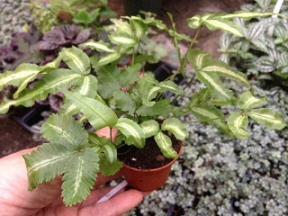 Very little two-inch pots are just the right size for these starter plants. Some are quite easy to grow houseplants that are usually available in larger containers, and others are small succulents. Because of their diminutive size, it’s quite easy to incorporate them into mixed terrarium plantings or miniature gardens. 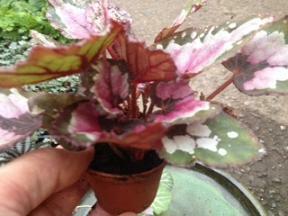 For terrarium plantings, choose from many easy to grow moisture loving plants. 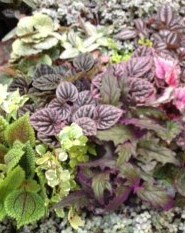 These include ferns, fittonia, Rex begonia, aluminum plant, pilea, strawberry begonia (It’s a good perennial groundcover in the shade too! ), creeping fig, and others that enjoy high humidity in an enclosed environment. 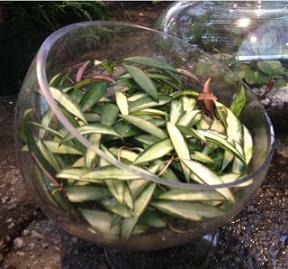 Small succulents and other houseplants, like jades and hoyas, are best used in open containers and miniature gardens. They offer a wide range of colors, shapes and textures and are quite easy to take care of too. The hoya pictured here in the open glass container has been growing for months, quite happily! This entry was posted in Container, Ferns, House Plants, Indoor landscape, Indoor Plants, Miniature Garden, Miniature Gardens, Planting Tips, Project, Succulents, Terrarium, Terrariums and tagged houseplants in small pots, plants for miniature gardens, plants for terrariums, small pots of succulents on January 21, 2014 by Kris Blevons.